The machine can open all water discharge canals from three sides. 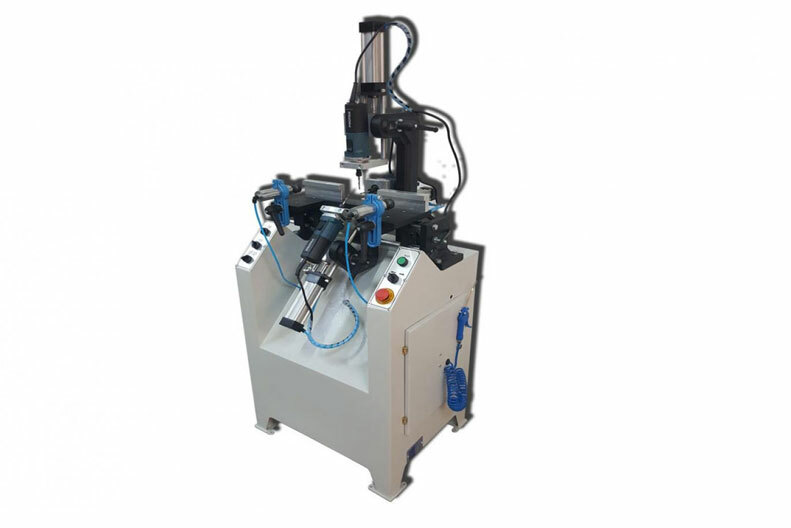 The machine is specially designed and manufactured for pvc profiles which are used for the window manufacturing. It works with an pneumatic press system. It is a very basic machine, but it is working fast. By only one process it will be possible to open the water discharge canals, where the water can come to the outside, if rain water is coming to the inside of the profiles. 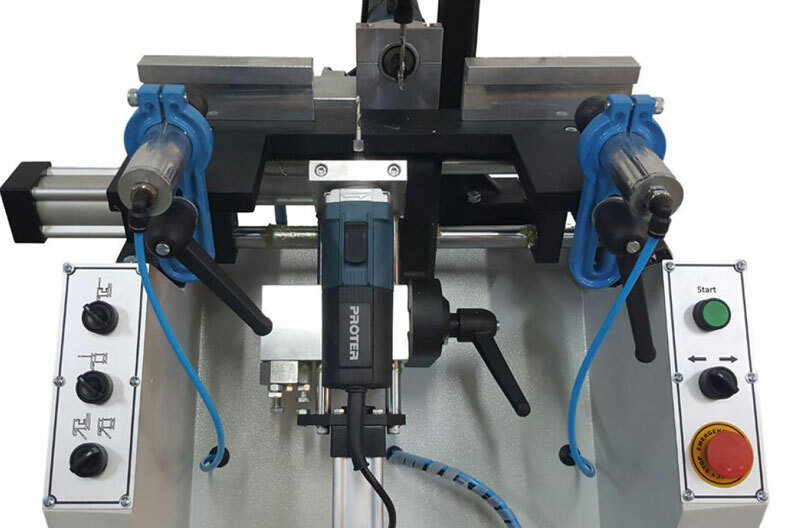 Fore-aft and height adjustment of milling heads can be done easily thanks to calibrated fasteners. Separate buttons for each milling motor. Time settings of machine movements can be accelerated and decelerated.